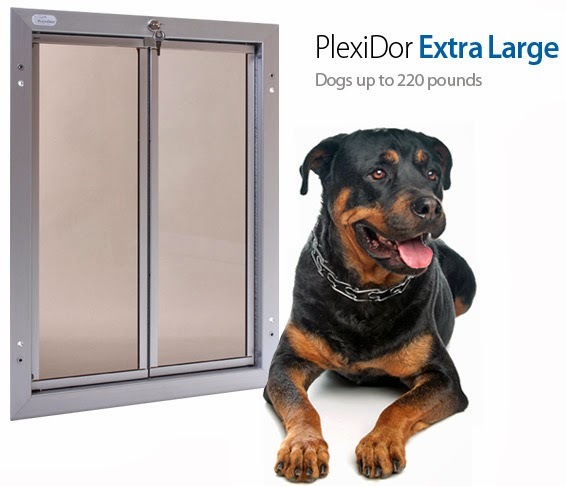 Plexidor Pet Doors: A pet door can be secure. This weekend I ended up in the midst of a fascinating online discussion. There seems to be a misconception about pet doors and security; several people said if they installed a pet door they would have no way to lock, and there would be a permanent opening for bad people to get through. A pet door is an opening in your house. That doesn't necessarily mean it's an invitation to robbers and bad people. For starters, a PlexiDor comes with lock and key. If the door is locked, it's extremely difficult to get through it. Honestly, it's easier to break a window. All models except for the small PlexiDor - which is too small for a person to get through - are delivered with a steel security plate. The security plate attaches to the inner frame. It's either screwed to the frame, or attached through a sliding track system with flip lock feature. Getting through it would require extensive time and tools. 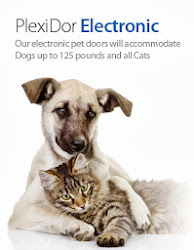 The point of having an electronic pet door is that it won't open for pets without a key. 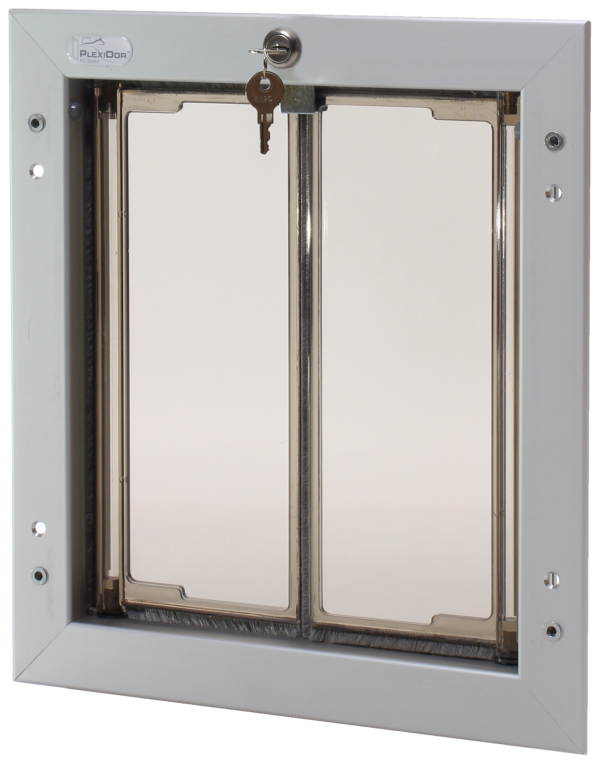 If the pet door is closed, you can hit it with a baseball bat and the panel will not break: the object striking it will bounce off, and odds are the person hitting it will hurt themselves. I would love to watch someone try to break in one of those! We' want to make some videos of trying to break through one. Hopefully we'll get around to actually doing it one of these days, LOL.